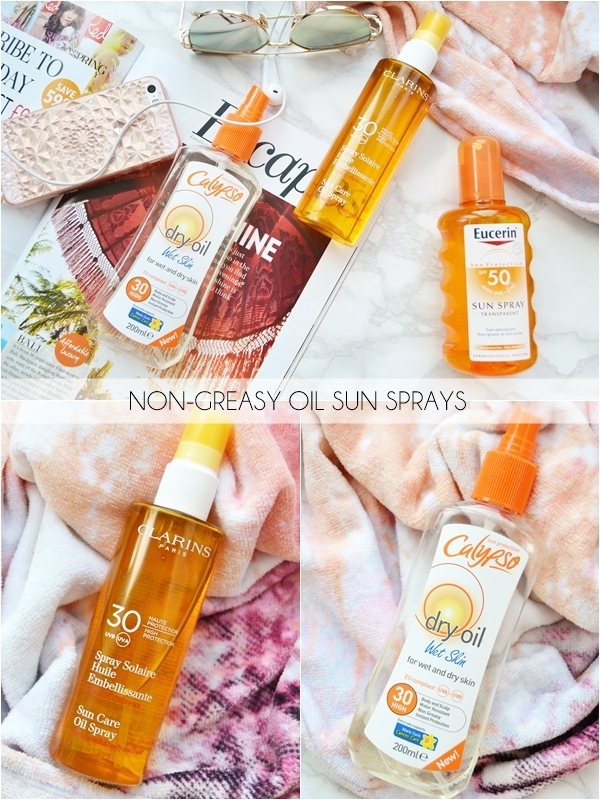 Sun Care 101 - SPF for Oily Skin, Protecting Your Scalp & Vitamin D! 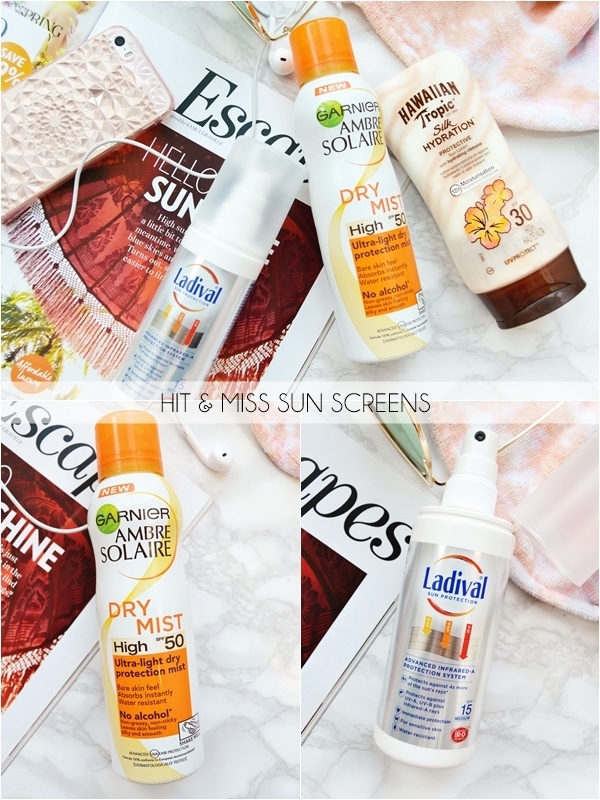 With fair skin, I've always used sunscreens but in the past few years I've tried countless brands and made it my mission to find a good non-sticky SPF for my oily/combination skin! I've definitely found some amazing sun screens along the way for both the face and body and I thought I'd share them with you today! And while I'm at it I thought I'd cover all things sun care related from Vitamin D, how to protect your scalp and the suncreams you should be avoiding! Ironically I'm Vitamin D deficient at the moment due to my love of sunscreen which pretty much creates a block between the skin and the UV rays that contain Vitamin D. However I've now fully educated myself on the topic and along with taking supplements I feel I have a good balance - protecting my skin whilst getting the vitamin D I need. If you aren't overly concerned with skin damage from the sun I would recommend sitting out for 10-30 minutes a day when the sun at it's highest and then applying an SPF if you plan to stay out any longer so that you don't burn. However if you are concerned with skin damage then you can still get enough Vitamin D by apply an SPF to the face and chest and sitting in the sun with your arms and legs uncovered. In the UK it's reported that most people are deficient in Vitamin D (which is so important for good health!) so making the most of the sun SPF-free is important especially to take you through to the winter months. 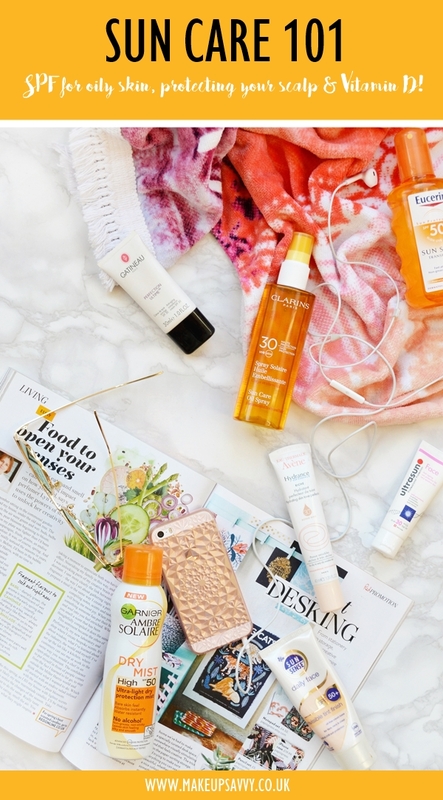 Have you ever come across a liquid SPF before? No, me neither! Well, until I tried this amazing bi-phase serum that contains a medium protection of SPF 15 AND is water resistant! This is ideal for everyday wear for anyone with oily skin as it's light and non-clogging of the pores. I also find my makeup applies well over it and my skin doesn't feel heavy is the slightest. This is an all round good egg if you ask me. Ideal for all skin types including oily/combination as it soaks into the skin well and is free from all nasties and perfume so this is suitable for the most sensitive skin. I also highly recommend the smaller 25ml size (you can find it online/eBay) as it's perfect for the handbag/travel. If you are looking for a high factor sunscreen to take on holiday with you that won't clog pores and cause blemishes then this is the one to go for! I've used Frezyderm products for a few years now and they really are amazing. This specific sun screen actually feels like a primer on the skin (with a matte finish) and creates a perfect base for makeup. My go-to facial SPF for holidays! If you are looking for the ultimate brightening tint that will give you good protection from the sun then look no further than Gatineau Perfection Ultime. Though light in texture this hydrates all day long without a sticky feeling. This also balances out the skin tone a dream and even brightens, making it ideal to be worn alone, though it can be used a base for foundation. Pricey but amazing! 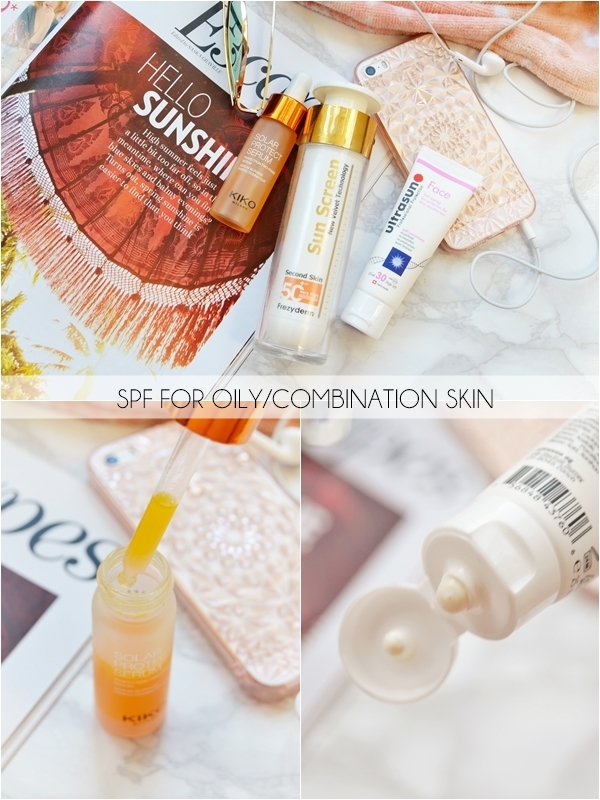 Mixing skincare with makeup here with an affordable skin tint that's SPF 30. This pink under toned tint for medium toned skin (it does sheer out much more than the swatch above!) is ideal for anyone with dry to very dry sensitive skin. This really does hydrate and protect but with simple ingredients that feel light and non-tacky on the skin. This is a sun screen I've used for 2 years now as it's designed for combination skin and evens out the skin perfectly without being detected. I often wear this alone on good skin days in summer but it also can be worn under makeup and won't clog pores! It's also fragrance-free and suitable for sensitive skin! 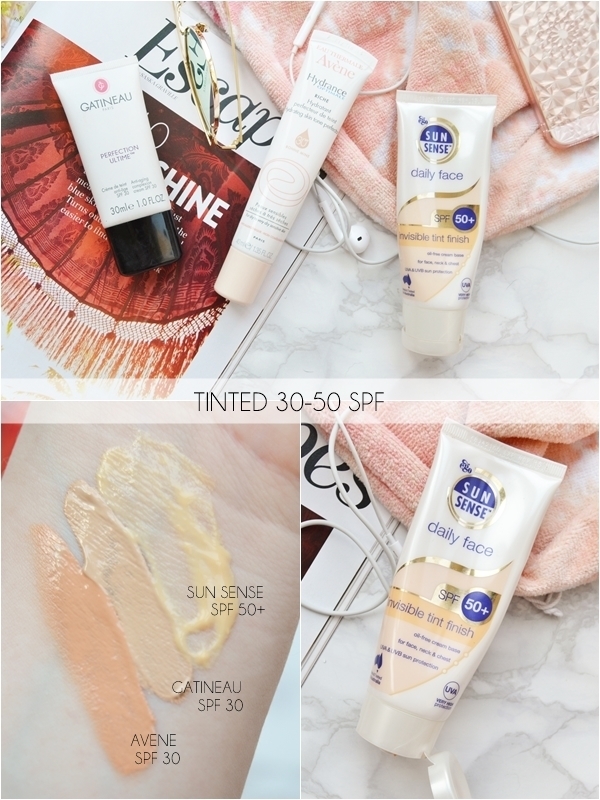 My favourite all-round tinted SPF! If you are looking for a high quality oil sun spray that's actually a joy to use then Clarins have you covered! This is my body sunscreen on choice for my upcoming holiday which I've already started using because it's so lovely. The oil is perfectly non-tacky and soaks into the skin within minutes leaves a matte finish that smells lightly tropical! It can also be used on the hair after swimming! Want a cheaper alternative? Well you can't get much cheaper than £3.95! Yes, this isn't as matte or silky feeling on the skin and sand does stick to it but it 100% does the job and has a banana scent! This has been on many holidays with me (it also comes in SPF 50) and I love the fact it can be applied to wet skin and rubbed in. A great one if you have a family as you can over apply this due to the low price. Another fab and affordable oil spray is this one from Eucerin and apparently it's suitable for acne prone skin, so ideal if you have ache on your chest or back or just have oily skin in general. Much like the other two this is water resistant and non-sticky. It also have quite a masculine scent to it that's pretty unisex and not your typical sun screen scent! All the above oil spray can be spritz onto the hair and scalp however it does create a wet-look, so only good if you've just got out of the pool. However my go-to scalp/hair SPF is Kiko Solar Haircare Oil (£10.40 KIKO) which although is only SPF 6 is enough and does protect the scalp with a single spritz without leaving the hair looking greasy or weighed down - pretty amazing stuff! Now this may be one of the nicest formulas I've tried as it's silky smooth, non-sticky and actually cooling to this skin. However my problem is with the aerosol can and the fact it runs out so damn quickly. This will be easily used up in 2 days if it's being used between a family of 4 and just isn't practical to take on holiday... unless you take multiple cans! This may be 200ml but be warned, you will run out of it much faster than any lotion or oil spray. Another lovely feeling SPF product here that feels more like a moisturiser on the skin with an amazing tropical scent. The only problem - it failed the Which? Sun Protection Test and doesn't in fact contain SPF 30! I can totally see this as it's mixed with 'hydrating ribbons'. Ideal if you won't want much protection from the sun but other wise this is sadly one to avoid. Fairly new to the sun screen market is Ladival and although I do like this product and would recommend it... I'm just not sure about their confusing science! Quoting the product directly "Most standard sun creams help to protect your skin against UV-A and UV-B rays and Ladival does too. But these make up just 7% of the sun rays. Infrared-A makes up a further 30% on the sun's rays. So with Ladival's IR-D Infrared Defence system you get protection against 4x more rays". Now that all sounds good and you would think this kind of sun screen with it's science-y look would help protect your skin from skin cancer even more however it's all about ageing here and preventing skin damage. Yes, this is a nice product but I kind of find their branding and science talk is misleading. Sorry Ladival! I think I need a lie down after writing so many reviews! I really hope this have been helpful for some of you - let me know if you try any of these sun screens out.